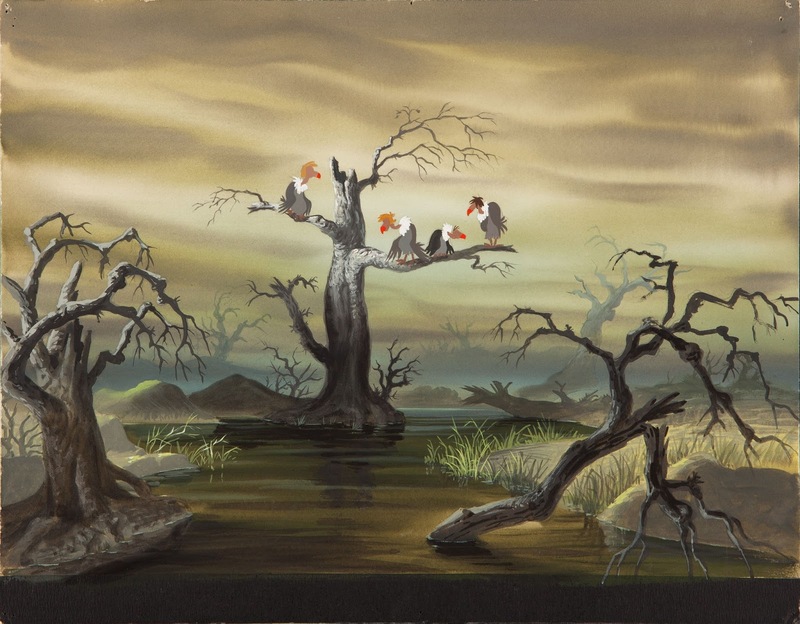 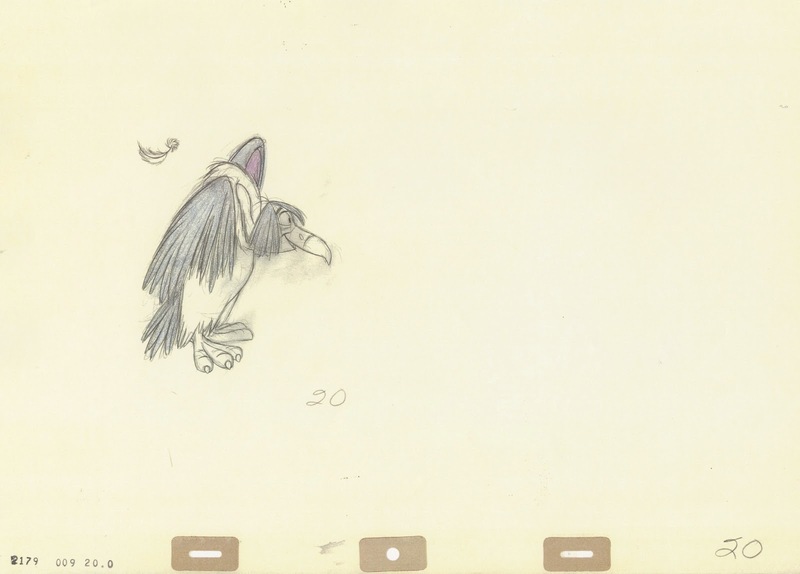 I am not sure who painted this color key for the opening of the vultures sequence for The Jungle Book, but the dark mood beautifully represents Mowgli's emotions. 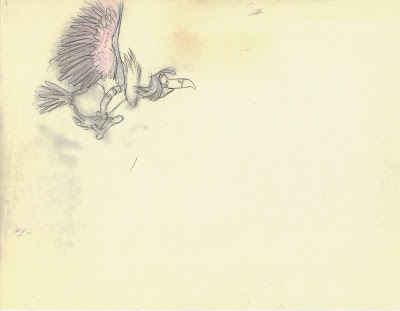 He is wandering alone through this part of the woods, before the vultures spot him in the near distance. 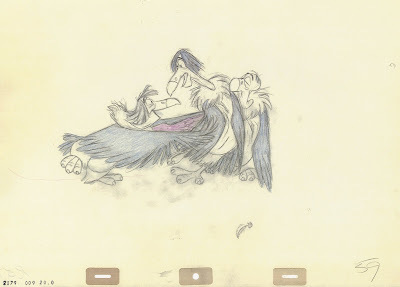 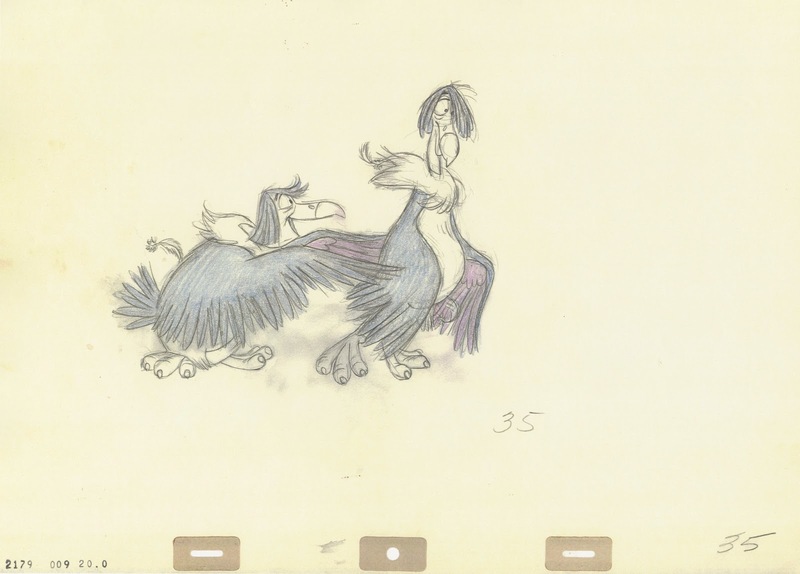 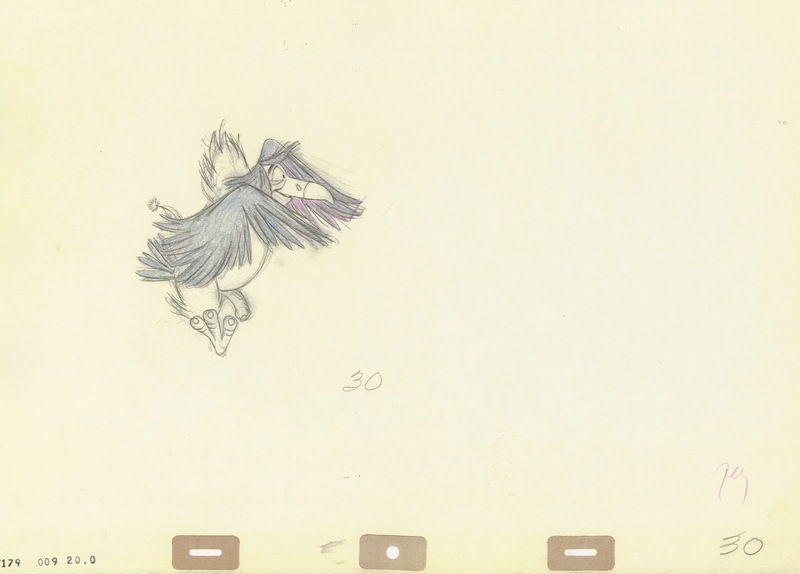 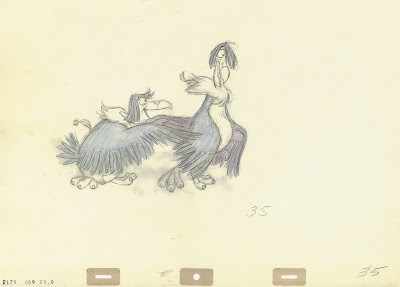 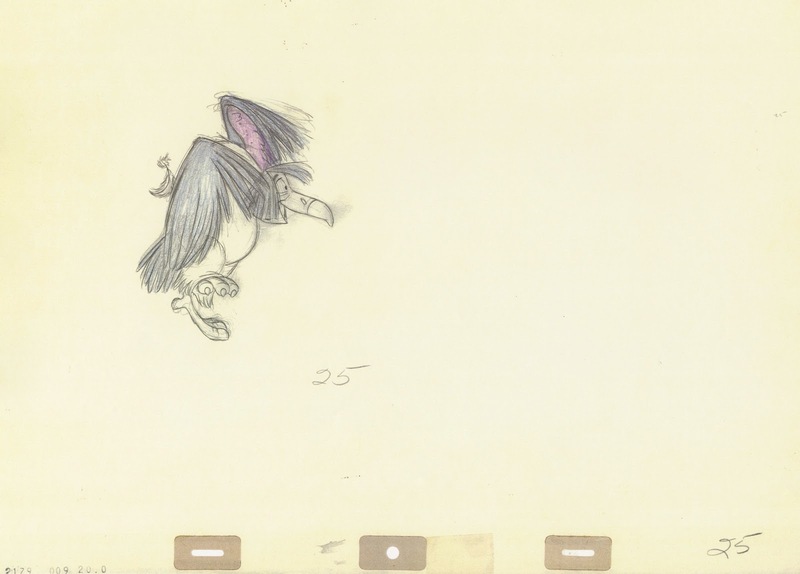 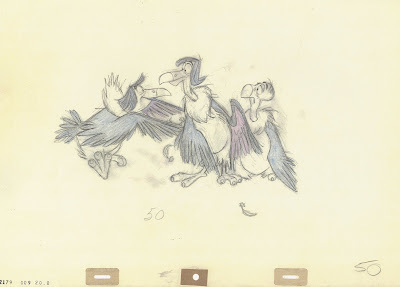 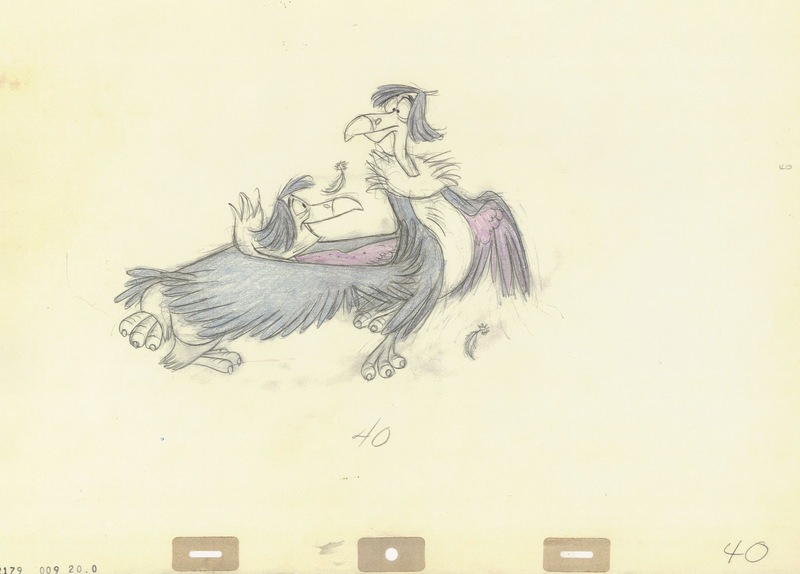 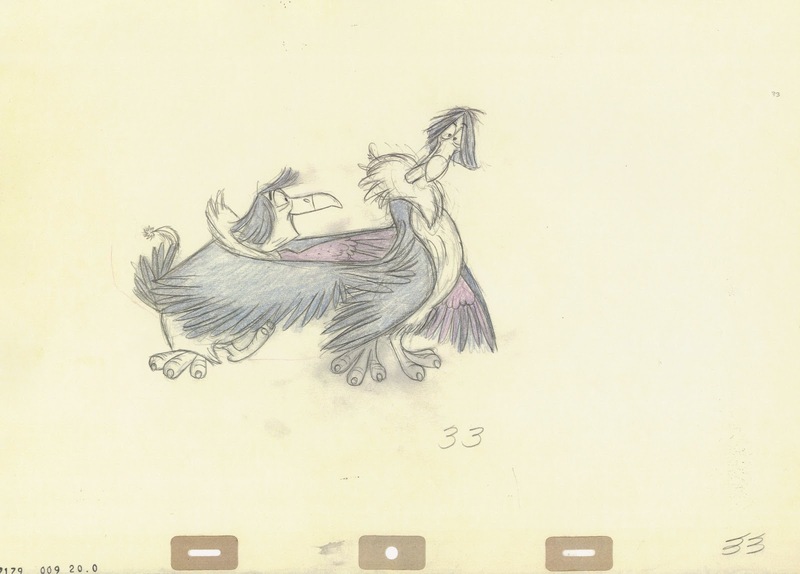 Milt Kahl animated all introductory scenes of these birds, and the following drawings from seq. 9, sc. 20 represent a glimpse into the mind of an animation genius. 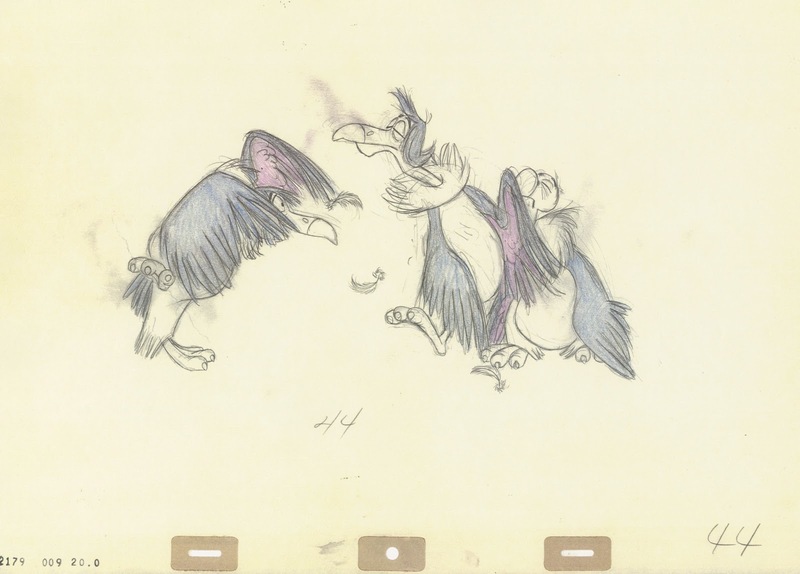 One of the vultures, Ziggy, encourages the other three, Dizzy, Buzzie and Flaps to fly down the tree in order to examine this strange looking creature, which is walking on two legs. 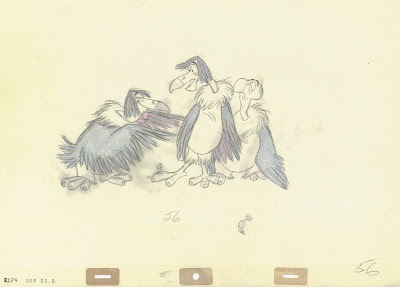 "C'mon, lads, c'mon! 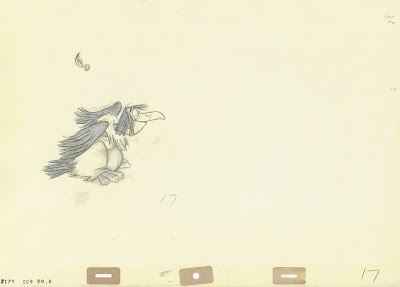 Let's have some fun with this little fellah, this little blokey." 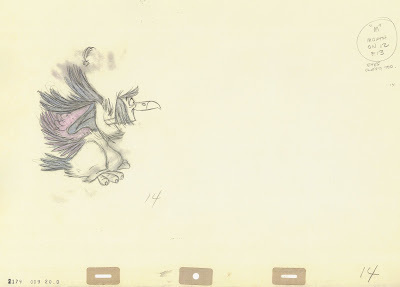 During this line of dialogue Ziggy moves toward the other three, repeatedly pushing on Dizzy, until one after the other looses their balance and stagger downwards. 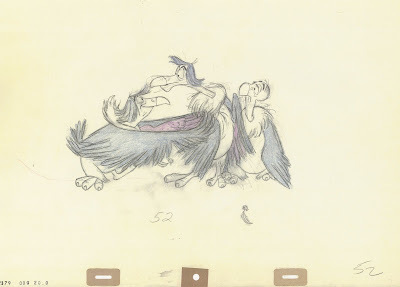 A "tour de force" scene, to say the least. 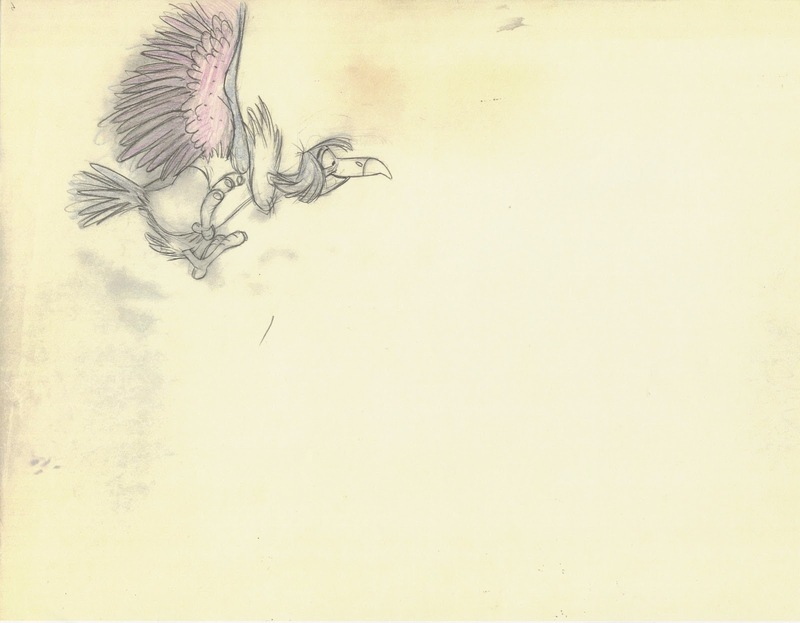 The overall motion is all on ones, as one bird after the other is being affected by Ziggy's pushy moves. 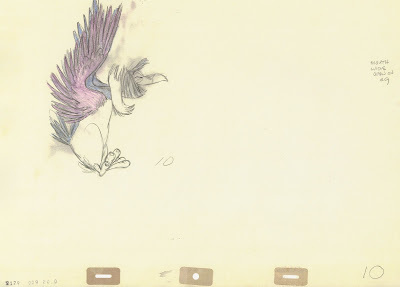 A friend of mine commented that only a mad man could put all of this together and make it look natural. This is why I love drawn animation, there is nothing like it! Part II of the scene coming up.